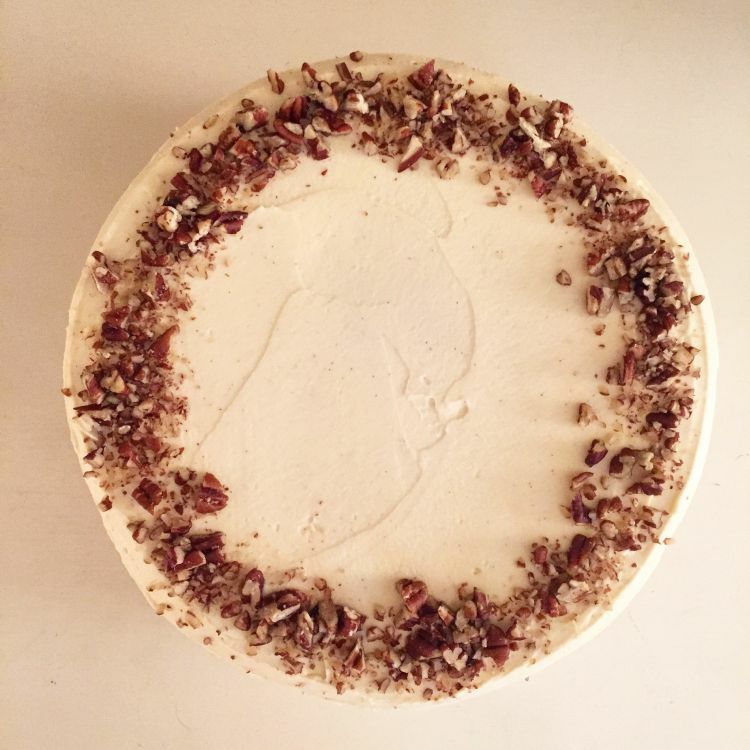 Gluten free carrot + pecan celebration cake with maple mascarpone icing. Cake: Ground almonds, gluten free plain flour,, carrots, sunflower oil, light muscavado sugar, eggs, cinnamon, ground ginger, pecans, lemon, baking powder, bicarbonate of soda, xantham gum. Icing: Unsalted butter, golden icing sugar, mascarpone, cream cheese, lemon, maple syrup. Almonds, butter, eggs, mascarpone, cream cheese, pecans.